When soaking the chicken wings in a brine for several hours (anywhere from 3 to 48), you are allowing the meat and skin to become tender and juicy while absorbing the flavors in the brine (so make sure you include ingredients in your brine that you want to be in the final product). This assures that no matter how you prepare the wings—broiling, roasting, grilling, or frying—they will stay moist and flavorful throughout the cooking process. And, considering the ratio of bone to meat to skin on chicken wings, this part of the bird can easily dry out—so creating a "juicy and flavorful guarantee" is a wise decision. The two basic ingredients in a brine are water and salt—anything added to this is simply for flavor. And because the cooked chicken wing will retain the flavors of the brine, you should choose a brine recipe that includes flavors you'd like to enjoy in the finished dish. If you plan to make spicy wings, for example, you will want to add a something spicy to the brine; a small amount of vinegar mixed with red pepper flakes works well—the vinegar breaks down the heat in the pepper flakes and the brine carries that flavor into the wings. In one bowl combine the vinegar and pepper flakes; in another bowl combine the water and the salt. Add the pepper flake and vinegar mixture to the water and salt mixture. Add up to 1 pound of chicken wings. Cover and refrigerate for 3 to 6 hours. 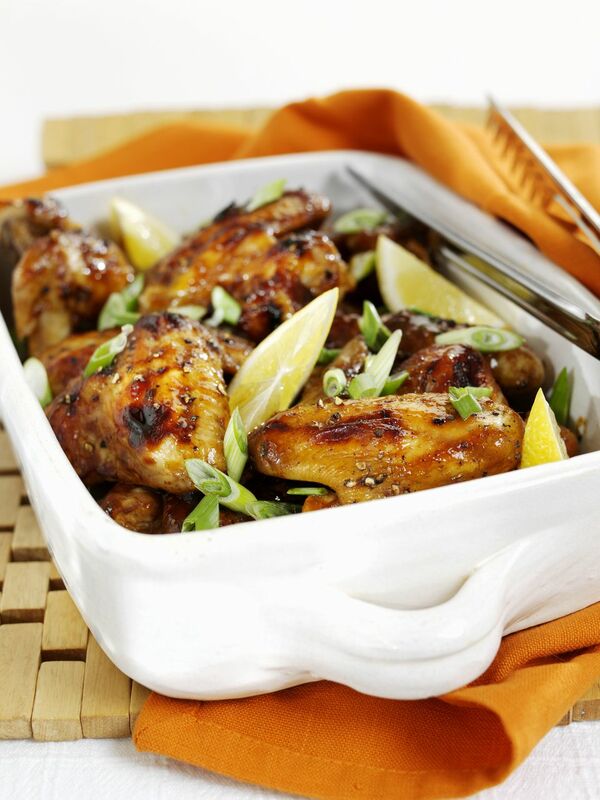 Remove chicken wings from brine and grill, bake, or fry them as you normally would. The amazing thing about this method is that the wings will be hot—not overpoweringly spicy, but definitely have a hint of heat the reaches into the meat. From here you can add your own sauce, seasoning, or just leave them the way they are. It's an easy way to make great chicken wings. Many recipes call for removing the chicken wings from the brine and discarding the liquid. But by doing this you miss out on a chance to make your wings even better! Before removing the wings from the brine, place the chicken and brining liquid on the stove and bring to a boil. This is ideal if you plan on frying since you will now need only a small amount of oil to quickly crisp up the wings, instead of having to deep-fry them which can be tricky (dark skin with raw meat, or pale, rubbery skin and cooked meat). This is also great when cooking for a crowd—not only is the frying fast, but you can boil the wings up to two days before your party.